Last time we talked to Craig, it was June 2015. 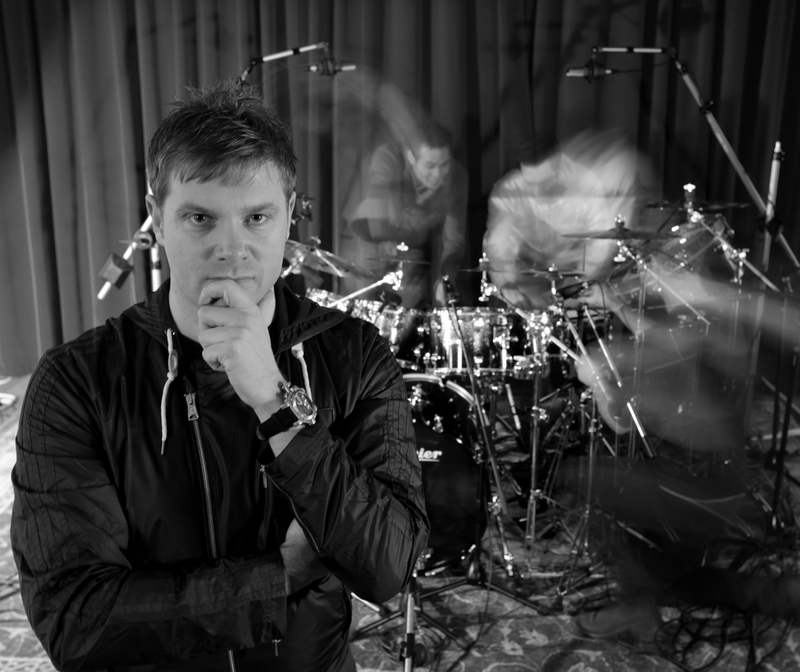 At the time Craig had joined Steven Wilson‘s touring band mere weeks before and the North American tour promoting the album Hand.Cannot.Erase was also at its beginning (World Prog-Nation was only a couple of months old at the time too! ). Craig graciously spent some time recently catching up with our own Alfredo Iraheta on what has transpired in these past couple of years. Enjoy this interesting, informative and insightful conversation! World Prog-Nation: Craig, congratulations on all your achievements over the past couple of years. You have topped polls, have been featured in magazines, and have gained millions of fans across the globe. Your name is mentioned along with the greats and you continue to silence critics with your professionalism, your amazing playing and positive, even keeled personality. Thank you for taking the time to answer some of our questions today. How are you? 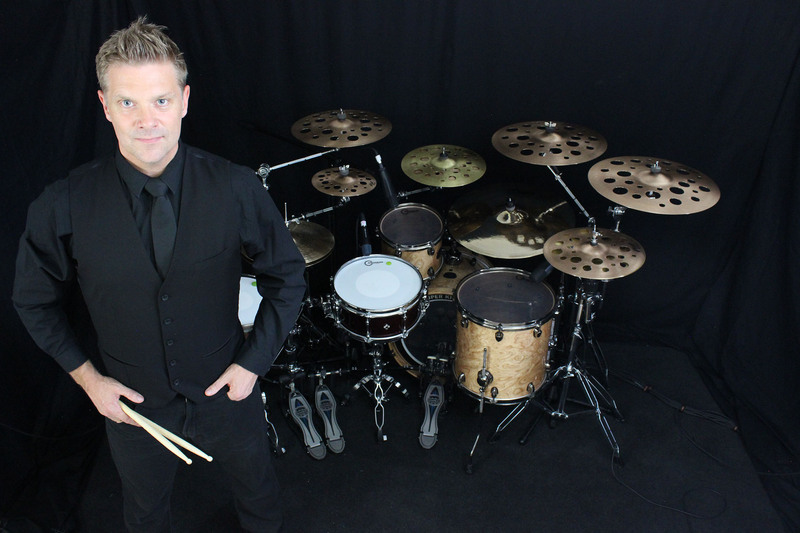 Craig Blundell: Thank you kind sir, I’m pretty good thank you. I’m on a real fitness kick at the moment. I’m not saying I’m enjoying it 100% but I’m feeling the benefits of being on my way to being 40lbs lighter than I was last year and its making a difference in all aspects of my life including the playing. WPN: When we last spoke 2 years ago, you were a few weeks into your new (at the time) gig with Steven Wilson. Can you share with us some highlights of how things have changed for you since June 2015? CB: Where to start? Well, it’s been a real eye opener for a firstly; I’ve learned so much in my time with Steven, I’ve never had so much praise and on the flip side I’ve never been trolled and hated so much as a drummer but its all been a lesson and a pretty steep learning curve…. I guess this is going to be a pretty long answer so I’ll say sorry now! Things have changed pretty dramatically if I’m honest. When I first got asked to audition for Steven I was thankfully paying the bills here in the UK as a working drummer and I’d like to think steadily growing my reputation and getting some nice jobs, nothing prepared me for stepping into that gig both as a musician and as a person. When I got the gig I was beyond delighted, quite a few of the fans weren’t, and understandably so, I wasn’t a Marco, a Gavin, a Chad, a Chris, I was just little old me. I wasn’t an A-list drummer like those guys, I was/am just a normal guy that pushes myself pretty hard. These opportunities don’t come around very often and lets be honest, if Steven wants, he can have any drummer on the planet so I was pretty excited to say the least. I’ve gone on record many times in the drumming press and on my website, and talked about anxiety and nerves, both of which that I’ve had a LOT these past couple of years. I remember walking out on stage looking left and being absolutely petrified! People used to say on forums how miserable I was, the truth was, this was all very new to me and I was terrified with the pressure. I knew fairly early on that I was a little bit out of my depth so I went back to playing for 3-5 hours a day on a pad and getting my stuff together, I’d been given such an amazing opportunity and I didn’t want to lose it so I had to work harder. The past two years have been a real roller coaster and I’d like to think my playing has changed massively along with my mindset. Steven, Nick, Adam and Dave have been a second family to me on the road and have really helped me musically. Gradually the fans started to warm to me, I’m fully aware I’ll never please everyone but I’m giving it 100000%. As the chemistry on stage grew, so did my confidence. We have a lot of fun both on and off the stage which REALLY helps. The drum press started taking note and in 2016 I was featured on the front cover of Rhythm Magazine, came 2nd in the prestigious Modern Drummer awards and now I’m getting asked to play at drum festivals all over the world! It’s been a dream come true. I was a fanboy of SW before I got the gig. He was on my bucket list of artists I’d love to play with. I was only supposed to be doing the gig for 8 weeks and I’m still here and preparing for the next tour of which I’m delighted about! WPN: With Steven Wilson’s band, you recorded some songs for the 4 ½ EP, a Rush tune and the new album To The Bone. What was the approach to recording your drum parts for those projects? You have stated in the past that for the Hand.Cannot.Erase shows, Steven gave you the freedom to play how you best saw fit. Did you have the same freedom during the recording sessions? CB: Steven is a taskmaster when it comes to studio recordings, as I’m sure many of your readers know. With 4 ½ I did quite a bit of programming for “Vermillioncore“, something that I’m really into, fusing electronics and acoustic drums, and it came out well. With To the Bone it was a very different approach drums wise. Everything was stripped back, (Steven) didn’t want any crazy fills and chops, he wanted groove, which is cool with me. I’d spent a lot of years on that stuff. Drum duties were split between the brilliant Jeremy Stacey and me. I was asked to do another session but sadly was out of the country, but I’m happy with my contribution. There are no fireworks but I can look back and be proud, which I can’t on everything I’ve played on. I know a lot of the fans want crazy chops! Me too for the most part, but its not what the boss wanted nor what the songs needed. I’d play a few takes and then we’d have a listen and go through it all down to bars of “like” and “don’t like” I’d pencil the changes and do it until he was happy. WPN: You mentioned before that for the Steven Wilson gig you had to become a “heavy hitter” kind of player compared to your previous projects. 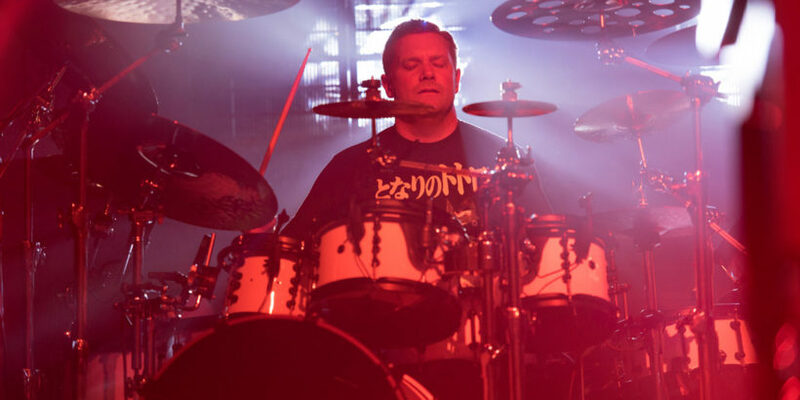 Has your drumming style and/or equipment changed? CB: Oh yeah, its something I’m just not used to doing. I used my 7a signature sticks and I was breaking about 10 pairs a night which isn’t good. Steven like the vibe on stage to be quite “animalistic” and energetic, something I’m not used too. It was a learning curve for sure. I went to 3a sticks and then started breaking cymbals which absolutely mortified me! So I went into Paiste in L.A. and we picked some heavier cymbals for the gig. Listening back, it made a HUGE difference to the vibe and the sound out front. WPN: You have kept super busy, also participating in recording/performing with Jennifer Batten, Lonely Robot, Pendragon and of course Frost*, PLUS teaching and doing clinics. Some folks would burn out at such a pace. How/where do you find the inspiration to find a fresh outlook and be able to make top-notch contributions to your various projects? CB: I genuinely love what I do. I’ve never been in big demand before this gig. Yes I was busy, but big collaborations never really happened so to get them now is extremely rewarding and I’m really enjoying the variety it’s bringing. It’s keeping my playing on the money and stretching me to the next level. WPN: Is touring as Dr oKtopUs, or a Craig Blundell solo band something we can expect? CB: I think that ship has sailed, but I am going to do a second Dr oKtopUs project for sure. I really enjoyed the first one but I wasn’t really that experienced at producing the material. I’ve learned a lot in recent years and I think I will do the second album which is doing to be a mix of dark electronica meets some very heavy prog. WPN: You are a talented photographer and videographer. Any thoughts of releasing a physical media collection of your popular “found objects” videos for example? CB: So many people have asked me that! I’m a huge sports fan so I had this thing. In every city I went too on the HCE tour, I visited a local “team” and collected a bit of memorabilia for my little games room. I used to document all my travels. I think for the next tour I’m going to do a “tales from the drumstool” blog/book, I love writing and it’s great that people read my blogs. WPN: In recent times, Neil Peart announced his retirement, and Nicko McBrain started talking retirement. I know you are a big fan of both and would like to know your thoughts on both gentlemen. CB: I am! I’m friends with Nicko and both have played massive parts in my life growing up. They are pioneers of the instrument and both in their own way took it onto a new level. I listened to both of them for years trying to figure out just what they were doing. They have reached true legend status with their fans and drummers alike. I know that word is banded about so frivolously nowadays, but they are true legends of the instrument and inspirations to so many. WPN: What music are you listening to nowadays? CB: I actually don’t get time to listen to much music at the moment as most of my time is spent listening to albums I need to learn to play drums on. I guess I’ll always have a few “go to” favorites. Currently it’s Slayer. Every time I train, that is my soundtrack and it gets me through. I LOVE Car Park North, they are one of my favorite bands and their albums Phoenix and All Things To All People are never far from my ears. I’m still loving Animals as Leaders‘ new album. I played drums at a guitar festival that Tosin (Abasi) was on. He’s a super nice guy. Chimp Spanner is another favourite, as is getting out my old Brand X records. Mr. Collins does come in for some grief but MAAAAAN could he blaze! Moroccan Roll is in my top 10! WPN: What’s in the horizon for Craig Blundell? CB: Right now and for the last couple of months I took a little bit of time off the road before it went crazy to record. I get asked to play on a lot of albums and haven’t really had the chance so right now. I’ve been playing on some pretty great projects in my home studio. I played on Niko Tsonev‘s Moonparticle project, which is a killer album and comes out this year. I also recorded a few tracks for US based guitar virtuoso Dante Frisiello, which was a blast, and now for the next few days I’m playing on the 2nd Semantic Saturation album which is beyond great! The first album was a killer and this next one for me personally is up another level. I know the guests on it and its pretty heavy. It’s a real challenge but one I’m enjoying. After this, next week things turn to drum camps and festivals and more live work. I’m playing the Loreley festival in Germany next weekend with David Cross (King Crimson) and David Jackson (Van Der Graaf Generator) Then I’m doing the annual Freddie Gee drum camp in the UK, then over to Munich and Innsbrook for more music workshops and a few clinics in Russia. Then we’re all getting together with SW to sort tour logistics and I have a LOT of programming to do for my rig as I’m taking a hybrid set up out on this next tour to recreate some of the album sounds. The show is going to be pretty special and is going to need a LOT of rehearsal. Then I’m out with Bass legend Stu Hamm for some dates across Europe. WPN: Again, thank you so much for taking the time to talk to us today. Any parting words, and would you like to give a message to your World Prog-Nation fans? CB: I remember when you first started growing this site and we spoke about it, and to look at what its turned into now is amazing! The feedback I’ve had from your readers and contributors is amazing and I’d like to thank you personally for the opportunity for this interview and people to learn more about me. 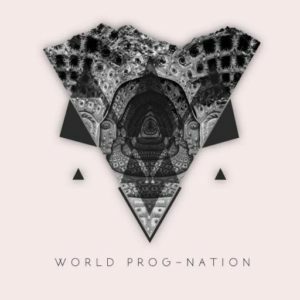 2017 – World Prog-Nation. All rights reserved.